I’d be lying if I said that 2016 has got off to a great start; it’s one of those strange situations when Pete, Imi and I are doing fine but other people I truly care about just aren’t. There’s that wierd conflict between feeling sad and helpless in the face of other people’s tragedies and, realising how fragile life can be, seizing the day. Children are so great at living in the now. I adore this picture of Imi in Bath last weekend. She skips, she sings and can’t resist a bollard- she’ll leap frog it or do a high kick and, whilst I don’t quite have her flexibility (or the flamingo legs to go with it), I can only hope to soak up some of her innocent joie de vivre. Luck plays such a huge role in our lives; our destinies do seem to change at the role of a dice and so I’m going back to those lucky lentils that the Italians dive into every New Year. I’m just starting my year again and every one of those tiny seeds is going to bring us all good fortune. Superstition apart, lentils are genuinely capable of bringing prosperity and fine health; eating legumes is incredibly economical and they’re so very good for you. I always prepare food that I like to eat rather than counting calories or assessing nutrients, if it happens to be packed with goodness, well, that’s a bonus. Lentils are loaded with fibre (keeping you feeling full, helping to regulate blood sugar levels and of course, keeping you regular). They provide valuable protein as long as you throw some grains into your diet along the way (it doesn’t have to be at the same meal) and cost a fraction of the price of meat. Consider all the calcium, iron, folate, zinc and potassium they bring with them and yes, we could give them that irritatingly clichéd title of a ……….SUPERFOOD! There are a few lentil recipes for you to explore on my blog already, just give them a click. 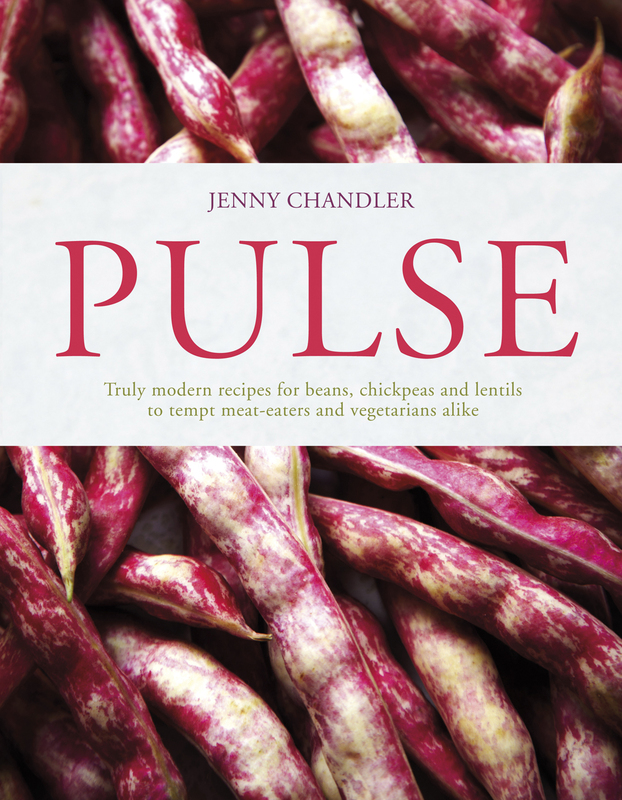 January’s been pretty full-on writing for all sorts magazines, blogs and campaigns, spreading the word about The International Year of Pulses (hence the “quiet” January on my own site), including Meat Free Mondays, Coeliacs Uk, The World Wildlife Fund and Borough Market. I’m going to share the Borough Market lentil recipe that I created for their blog (I know that it’s a marketing faux-pas to send your readers elsewhere but hey, I’m generous like that and it’s a great place to go for ideas and a good read. I love working for them; the monthly demonstrations are an excuse to explore, shop, eat and work in one of the world’s finest food markets. Here’s a chance to use seasonal Seville oranges (be quick – they’re not around for much longer) if you really don’t require more marmalade. Imi and her Brownie friends got so excited last year that we over produced and still have a mountain to munch through. You can use sweeter oranges for the lentils too but you may require a bit of lemon juice to sharpen things up. I’m using the little brown Spanish Pardina lentils because they seem an appropriate match for Seville oranges but any small, firm lentil will do. Take a large pan and fry the onion and carrots in the olive oil until soft. Stir in the chillies, garlic and rosemary and continue to cook until the garlic just starts to colour. Add the lentils, the juice of one orange, a good pinch of zest and enough water or stock to cover them by a couple of inches/5 cm. Cook until juicy and tender ( about 20-25 minutes), do keep an eye as you may need to top up the water. Drain the lentils if necessary and then add the mustard, parsley, salt and pepper and enough of the remaining orange juice to balance the lentils. The crème fraîche or extra virgin olive oil are up to you, the creamier version is great with ham, lean pork chops, or just served as a salad with piles of watercress whilst the extra virgin olive oil works better with rich belly pork or duck. Legumes can keep you feeling full for an extra 2 to 4 hours, meaning that you’re less likely to be foraging in the biscuit tin. Lentils are not just a cheaper source of protein than meat, gram for gram they have higher levels of protein than beef (as long as you also consume grains which contribute the missing essential amino acid). If you’re a resolute carnivore try adding lentils to stews, curries or cottage pie to eek out the meat. Better for you, better for the planet. Red lentils are actually hulled and split brown lentils. So, since their protective skin has gone they collapse easily making them fabulous for dal or any creamy soup. They contain much less fibre (as that’s mainly found in the skin) and so are easier on the digestion making them ideal for baby food. Just cook up a pan-full in some stock until soft and mushy and add to different vegetable purées. A couple of weeks ago I gave a dal demonstration in a West Country theatre, it was part of a double bill with a one man show called Strictly Balti. Now, I really do try not to make a habit of apologising for failing to write my blog more regularly but this time I really AM sorry; Saikat Ahamed’s account of his childhood growing up in Birmingham with Bangladeshi parents is absolutely gripping, funny, emotive and one of the best things that I’ve seen in years and you’ve most probably missed it! If you do happen to read this today you may be able to get a last minute ticket to catch him in Shoreditch tonight or in Chippenham on December 19th. GO if you can, it’s a gem. And giving a demo’ at a theatre was a first for me, it’s what I absolutely love about my job….. one day I’m making chutney with a class of 9 year olds for the Duke of Gloucester, the next I’m writing about smokey lamb chilli for the Borough Market Magazine. I did promise to post the very simple recipe for the dal and here it is (finally) for those patient people who have sent me emails. Do pass it on to your friends. To anyone who is not familiar with making or even eating dal, apart from the odd side dish at an Indian restaurant, I can only urge you to have try. We have a huge pot on the go at the moment – I make enough to last a couple of days, and add different Tarkas (toppings) to keep things fresh. In Britain dal is often just thought of as a lentil dish but in fact a huge variety of hulled, split and even whole pulses are used depending on the country or region in Asia . Most common are masoor dal (red lentils), mung dal (hulled and split mung beans) and chana dal (skinned and split chickpeas) but other legumes such as urad dal (split black urad beans), toor dahl (split pigeon peas) and even red kidney beans can go in too. Last week I decided to tip all my almost empty jars into the same pot; a mixture of red lentils, urad dal and split chickpeas- it was perfect. Pete even had dal on toast with chutney for a quick lunch, it’s great stuff to have lurking in the fridge for a hungry moment. What gives this dal its character and kick is most commonly known in this country as the tarka or the tempering: a fried up mixture of spices and aromatics, and possibly onions, shallots or garlic that is thrown over the dal just before serving. 400 g mung dal, masoor dal (red lentils), urid dal . Wash the dal thoroughly and check for any tiny stones (I was once responsible for someone chipping a molar – I always check now). Now place them in a large saucepan with a 1 1/4 litres / 2 pints of water. Bring them up to the boil and skim away any frothy scum. Throw in the ginger, garlic and turmeric and simmer, with a lid ajar, on the lowest heat possible for about an hour and a half. A ridged griddle pan can help to difuse the heat if you have a particularly fierce gas hob, just put your saucepan on top. You will need to give the pan a stir from time to time and add more water if the dal is getting very thick. Season the dal with salt and add more water if you like a soupy consitancy, I prefer mine to be more like a loose porridge. Heat the ghee, butter or oil in a separate pan. The choice is yours but I would go for ghee or butter every time, the luscious creaminess is unbeatable. Fry the onion until golden and then add the chillis for a moment or two. Tip the tarka over dal, stir it in and then sprinkle with coriander. You could add tamarind paste, lime juice or even sprinkle over a pinch of Amchuur (an intriguingly sharp powder made dried green mango) instead of the lemon. Or leave out the sharp altogether for something more mellow that would work alongside a zippy curry or pickle. You can totally transform your dal by frying up a different tarka, the options are virtually limitless but here are some of my favourites. Always start with the ghee, butter or oil and then fry onions or shallots if you are using them, followed by the garlic and spices. Use your nose and eyes, garlic and spices will take literally seconds to release their amazing aromas or to jump about the pan and then it is time to tip them over the dal. or any combinations of the above. And, just one more thing, the theatre – The Theatre Shop in Clevedon is the most amazing community theatre, utilising an empty shop unit in the town centre, it’s inspirational. They have loads of great stuff going on during the festive season including The Nutcracker ( Dec 19th – Early January) that I’m going to take Imi along to. Sundal Accra – A Bonus Spicy Chickpea Recipe! OOPs I did it again! In the carefully selected words of Imi’s favourite Britney Spear”s number. I can just about write one blog but managing to write two is almost beyond me. I decided to set one up for our wedding guests and have, for the second time, managed to post some completely irrelevant information to hundreds of food followers and chickpea enthusiasts- Sorry if you’re bewildered – I’ve taken it down now and you have a very quick post in it’s place! There are so many amazing Indian snacks made with pulses to choose from, it was the pure simplicity of these chickpeas that caught my eye. Then, once eaten never forgotten, they make a great little nibble to serve before a curry. This snack is traditionally served outside the temples of Southern India during the Hindu festival of Navratri. Nowadays it’s tricky tracking down whole coconuts in Britain but you’ll certainly know what to do next time you score on the coconut shy at the local fête. I’ve used desicated coconut but if you do find a fresh one in an ethnic store it is oh so much tastier. Take a large frying pan and heat up the oil, add the mustard seeds and wait until they begin to splutter and pop about. Now throw in the chilli, ginger, garlic, curry leaves, salt and raw dal (or lentils) if using. Wait for the aromas to burst out of the pan and the dal/lentils to begin crisping up and then stir in the chickpeas. Remove from the heat and stir well, add the grated coconut and dive in. 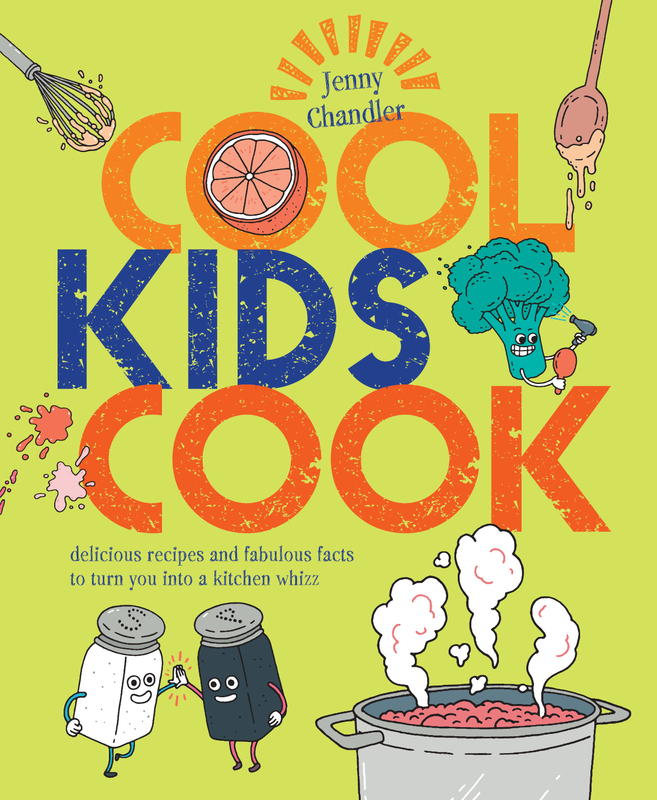 This entry was posted in Light Lunches, Pulses, Tapas and nibbles, Vegetarian Mains and tagged Chickpeas, Coconut on July 28, 2015 by Jenny Chandler. We bought our Christmas sprouts on the stalk yesterday, ensuring optimum freshness for our big feast tomorrow. The guinea pigs are already munching on some of the sweet leaves from the sprout top and we’ll have the rest for lunch. I’ve adored sprouts for as long as I can remember, even as a toddler- along with Stilton cheese. I’d always felt quite proud about my developed palate; early signs of a true food lover, I thought. I recently discovered that a love of bitter, strong flavours as a child could betray the fact that I’m short on taste buds; “super-tasters” (those people with the highest concentrations of taste buds) apparently find most brassicas overpoweringly bitter. So, do I miss out on all sorts of delicate nuances as I eat every day? That may be, but at least it allows me to revel in the delicious possibilities of the Brussel sprout. It seems tragic that most people only eat their sprouts once a year when there are so many tasty possibilities- so here are my …..
– Roasted sprouts are a revelation. Turn your oven up really high (200°c +). Toss whole sprouts in olive oil, salt and pepper and then roast for about 10 minutes (more if they’re large ones) or until the outer leaves are a bit charred and the centres are tender. – Stir fried sprouts with orange and chestnuts are heaven with a roast. Slice the sprouts as finely as possible. Take a wok or large frying pan and begin by frying a diced onion in olive oil until soft. Throw in a finely sliced clove of garlic and your sprouts and toss around over a high heat for 2 or 3 minutes. Now add about 1/2 tsp of orange zest and a handful of cooked chestnuts. Give everything a good stir before adding the juice of the orange and seasoning with plenty of salt and pepper. A few lardons fried up with the onion at the beginning of the dish are fantastic here too. – Brussel sprout Bubble and Squeak is the absolute best- using any left overs from the sprout dishes above or eve shredding some sprouts for the purpose. Make sure that having mixed them in with your potatoes you fry the mixture with plenty of oil and allow it to catch and caramelise on the bottom of your frying ban. The charred, crunchy bits are the key to a sublime dish, along with plenty of Worcestershire Sauce and a poached egg. – My new favourite, sprout salad, discovered at a fabulous pop-up in Bristol only last week. If you happen to be a local then make sure that you head down to Bar Buvette (great write up by Fiona Beckett) on Baldwin Street as this bar may only be around for a few weeks and you REALLY DON”T WANT TO MISS IT! But back to my sprouts – Peter Taylor (formerly of The Riverstation and Bell’s Diner) was serving very simple cheeses, charcuterie, fab’ cheese toasties and then this very simple (but incredibly delicious salad) when we went down to sample his wines last week. I don’t think I’d ever eaten raw sprouts before….strange when I love all sorts of variations on coleslaw. (Peter pointed out that you could always ponce things up and go a bit Italian by calling it a Cavolini or Cavoletti salad). Toss everything together and season to taste. Great eaten on its own or very delicious with a crispy jacket potato and a bit of cold ham too. HAPPY CHRISTMAS & I do hope you enjoy your sprouts.